On November 10th last year, a NASA research airplane took off on a risky mission from Punta Arenas, a small city in the far south of Chile. Flying without the detailed weather forecasts that most commercial flights depend on, the specially modified DC-8 turned south and headed out into the unknown. Passing over the Southern Ocean, the flying laboratory arrived in the empty airspace above Antarctica and switched on its cameras and sensors — but even just looking out the windows, researchers could tell that something was wrong. 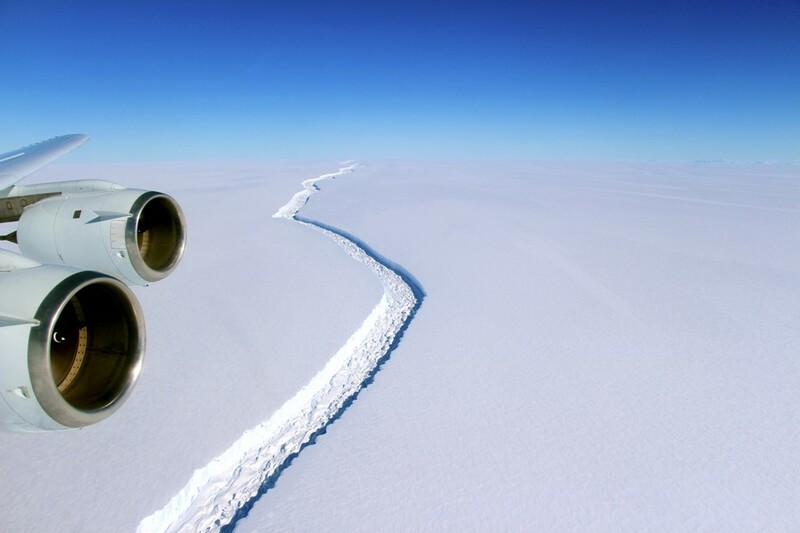 A giant crack in the ice stretched away into the distance, a clear sign that something big was happening below. From the air, NASA researchers measured the fracture as being about 70 miles long, over 300 feet wide and about a third of a mile deep. By December, the rift had extended another 13 miles, leaving a massive ice sheet about the size of Delaware clinging on by a narrow thread measuring only 20 miles. Now, that tenuous link is down to 12 miles, and researchers think a complete calving (aka break) is imminent. If and when it does, the resulting iceberg will be among the biggest ever seen. Nearly 2000 square miles of ice over a thousand feet high will be set adrift – a floating island about a quarter the size of Wales. To see what this miniature world will be like, we can look back to the calving of B-15 in 2003 – the planet’s largest recorded iceberg. A drifting island the size the Jamaica, its northern edge looked more like the end of an entire continent, with towering cliffs and swirling snow stretching away to the horizon. After bumping along the Antarctic coast for a few years, it eventually broke up into smaller fragments that drifted north towards New Zealand. 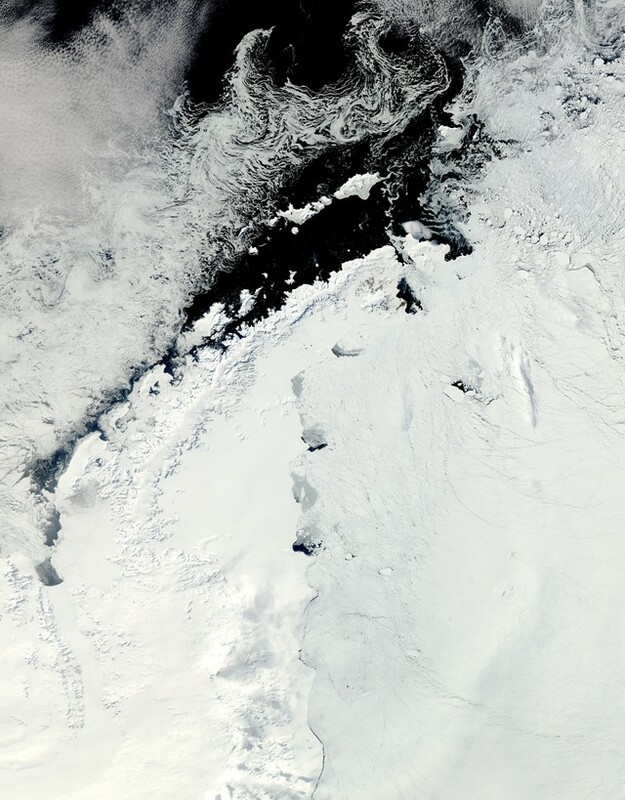 The calving of B-15 and other big icebergs from the Ross and Larsen ice shelves is just part of the complicated story of how global climate change is impacting Antarctica. 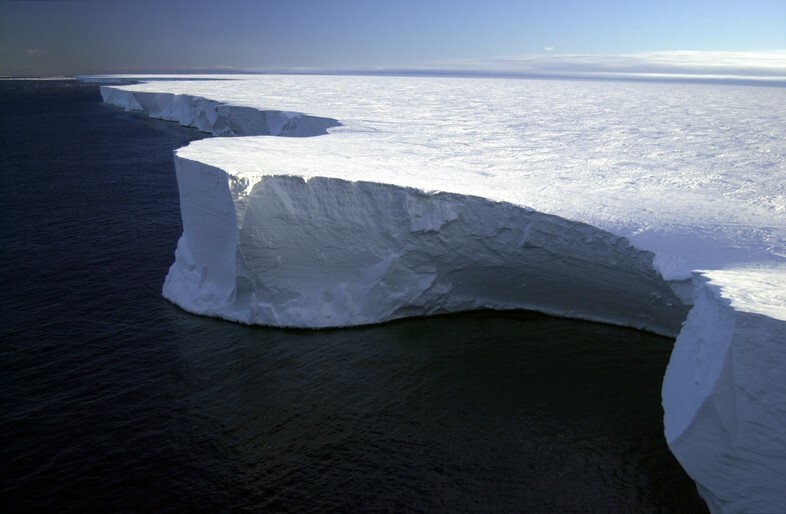 Ice shelves act like buffers between a continent’s glaciers and the ocean. 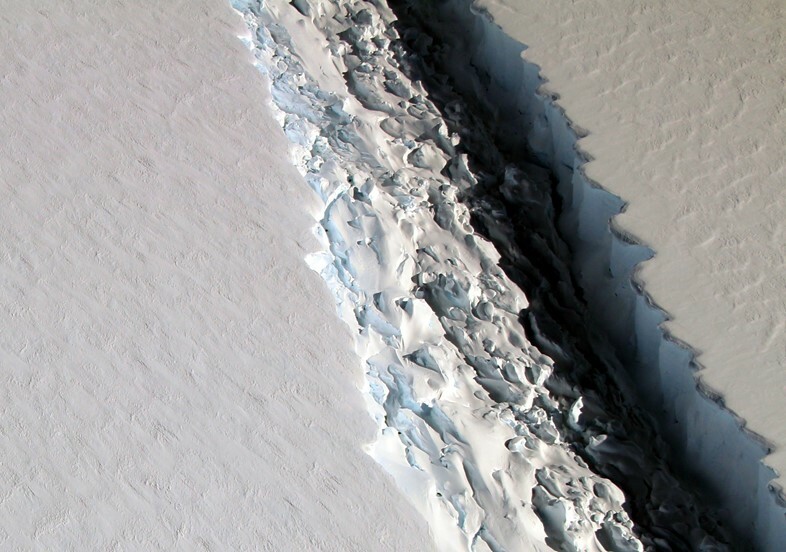 If all the ice trapped behind the Larsen C Ice Shelf were to flow into the sea, it would raise global sea levels by four inches. But while Arctic sea ice at the northern tip of the planet is shrinking, the sea ice around Antarctica actually increased to a new record last year – possibly due to changing weather patterns, increased snowfall or, ironically, increased melting of freshwater from Antarctica due to climate change. Quark Expeditions is currently offering discounts on its two-week CarbonNeutral® cruise to Antartica aboard the Ocean Endeavour, departing 20 January 2017, which visits the waters north of Larsen C.